Today we weaved our way in and out of Wales and England as we travelled up the country to Bangor. The day can be summarised thus: a lot of driving and castles, interspersed with snacks. The day had a feel of “we’re not in Kansas anymore” to it. Wales shares a border with England but has a very different vibe. The small towns seem wealthier and better kept, the people seem friendlier, and then there is this crazy language they speak. Welsh it impenetrable – I don’t see how anyone could learn it on their own. The words can’t be spoke phonetically as there are rules about consonant groups that are a mystery to me, and some of which have no equivalent English sound (LL for example). At least while we at here we will have plenty of exposure to the language. The Welsh are very proud of their language and the government has made a serious effort to revive it from a gasping end. All public signs and announcements are in Welsh and English. 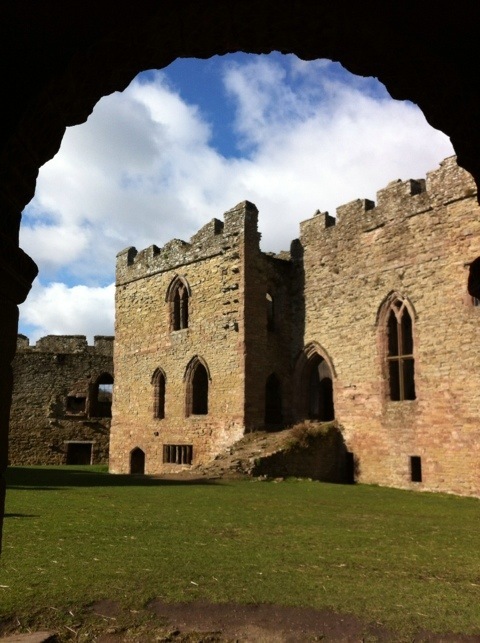 We started our morning in England at Acton Burnell Castle (not so interesting) and Ludlow Castle. 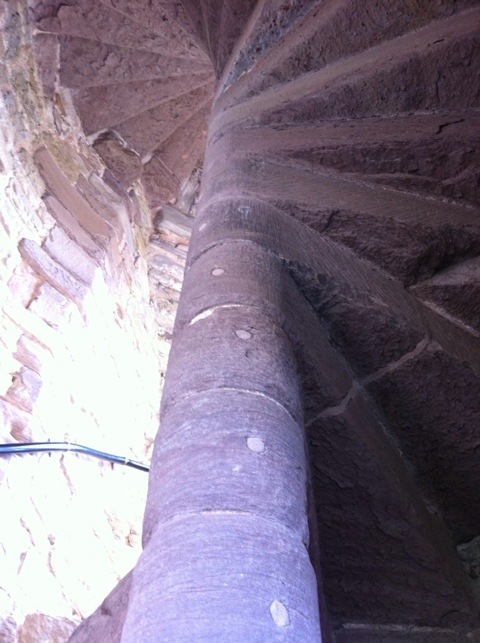 Ludlow is another 12th century ruin, smaller than yesterday’s and more complete. Again we were able to roam all over it – climbing towers and checking out all the alleys and nooks. Fantastic! An engineering marvel, but bloody hard to climb! 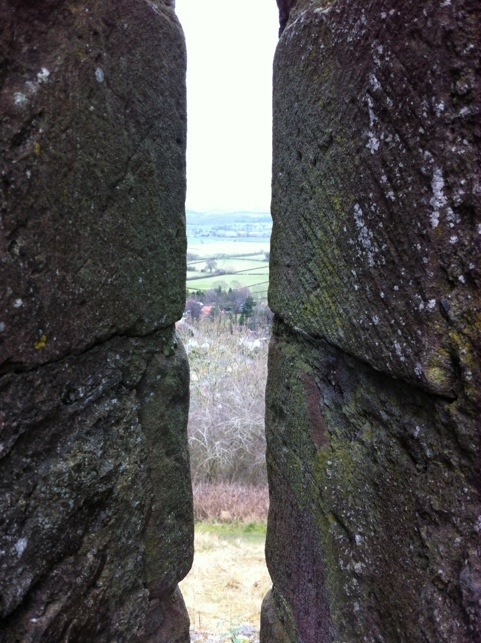 The other highlight was Powys in Wales. It was first built in the 12th century, and unlike all the others, is not a ruin. It has enjoyed continual occupation for the past 850 or so years. 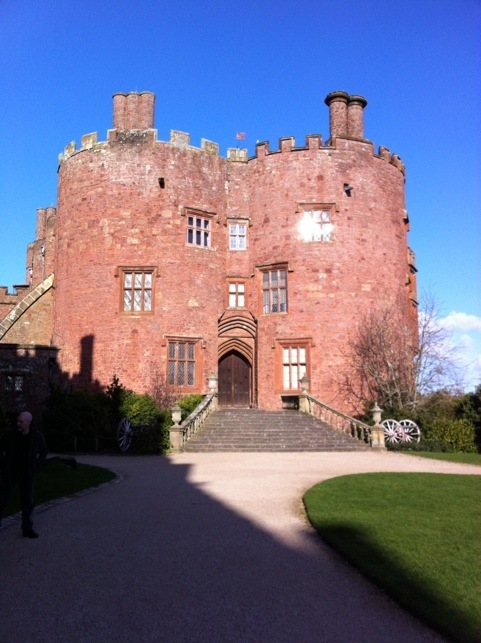 It was really interesting to be able to walk through an undamaged castle with much of the original furniture and decoration intact (stuff ranging from 100-850 years old). It made the ruins we’ve seen make so much more sense. So we arrived at Bangor in the dark, happy at our days adventure – we are learning more and more about the construction and structure of castles with each passing day. Stephen reckons we will be able to build our own by the time we get home. I never tire of looking through these old relics. The old cemeteries are worth a look as well.